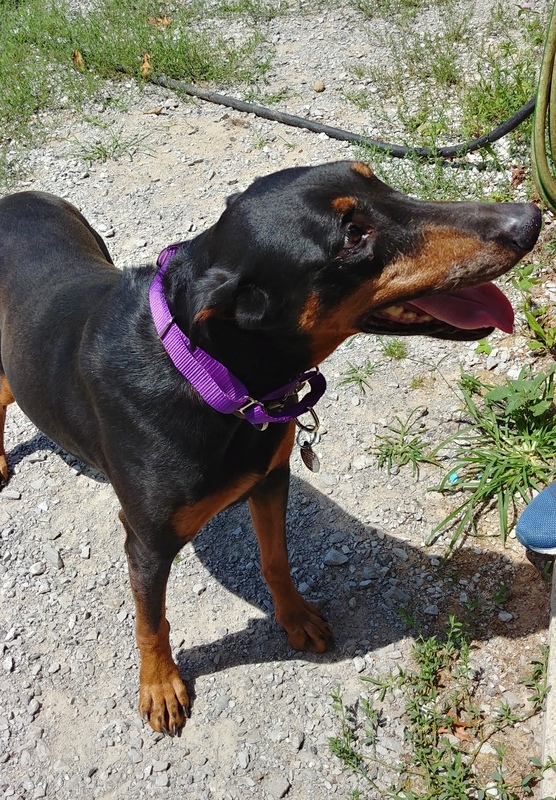 Betsy is a sweet dobie girl that is a bit sad right now because her owner passed away. 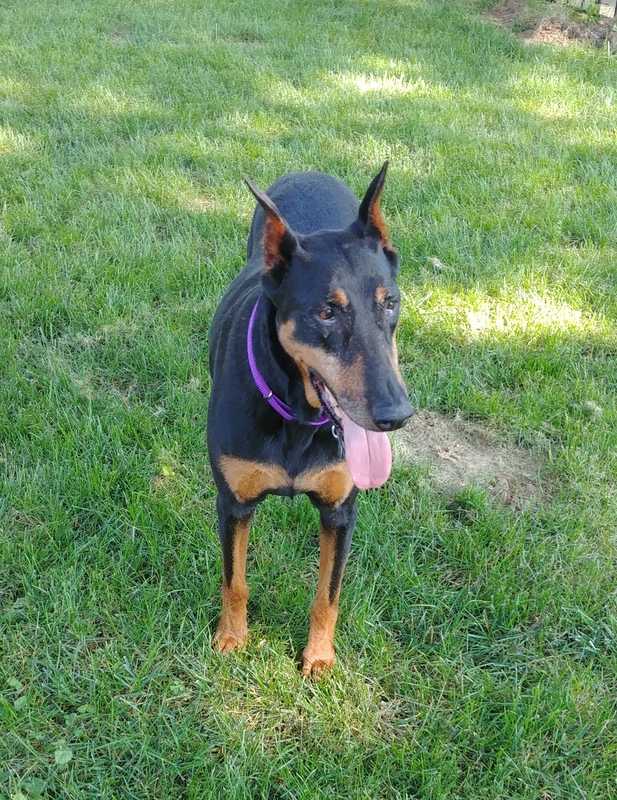 His wife was no longer able to care for the Dobermans so she had to surrender them to rescue. Her "Dad" used to take her riding around the property they lived on and she would help him do chores. 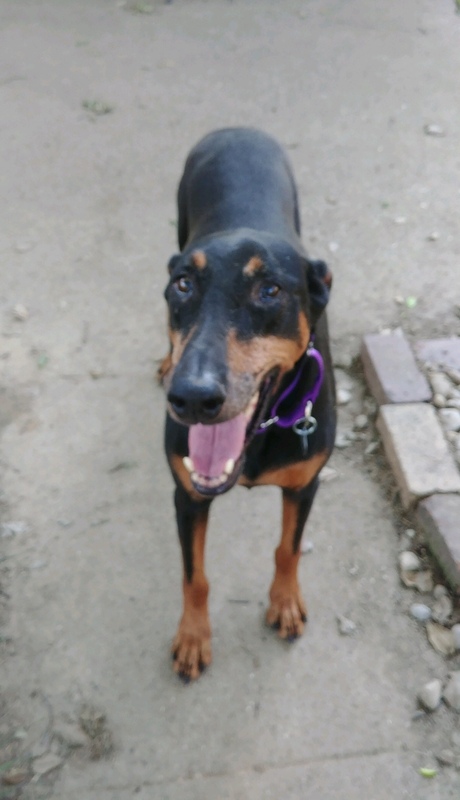 Now she is looking for someone to love on her and she will give you back a big dobie smile. We believe Betsy to be about 7 or 8 years old, but she has plenty of energy. 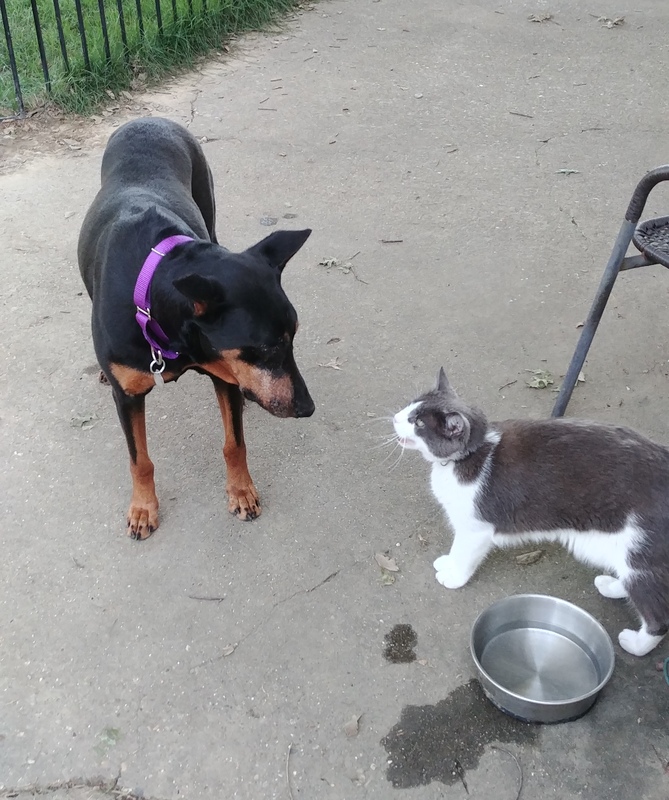 Betsy is fine with other dogs and cats but has a high prey drive for critters outside (squirrels, birds, rabbits, etc...). 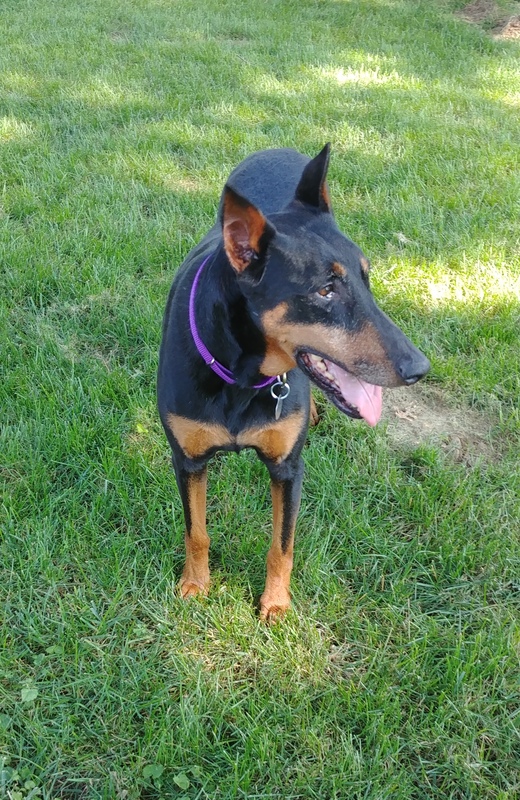 Inside she is a very low key dobie so she would make a great dog for a calmer household that wants a true companion dog. We have not had Betsy around children so we do not know how she would be with little ones. Betsy is house and crate trained. She keeps very quiet in her crate, but would really prefer to be by your side. Betsy will need a home with a physical fence or someone with experience training on an invisible fence.